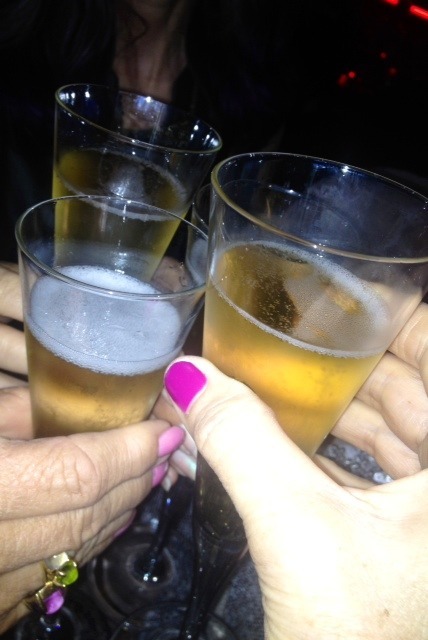 Girltime catch-up with special friends is always an exciting fashion feast!! 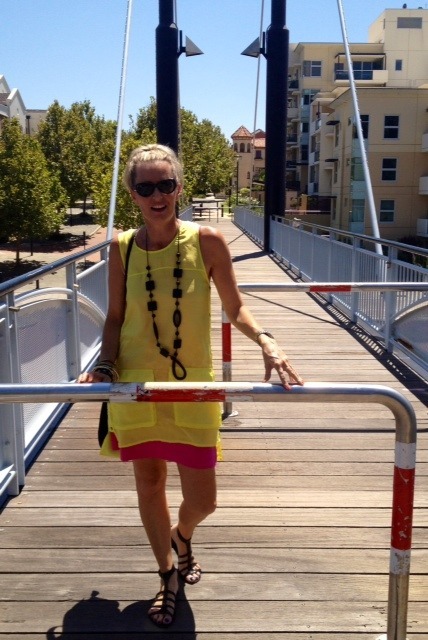 We explored East Perth and ended up on the waterfront for a cafestyle brekky. I wore my ‘Licorice Allsorts’ outfit. 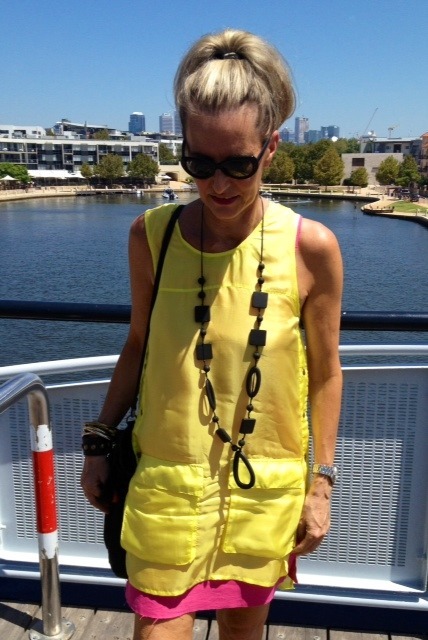 The simple, easy wear Shakuhachi citrus silk tunic is sheer and needed a slip underneath. My black slip worked ok, but I wanted COLOUR. You’ll never guess what I did! 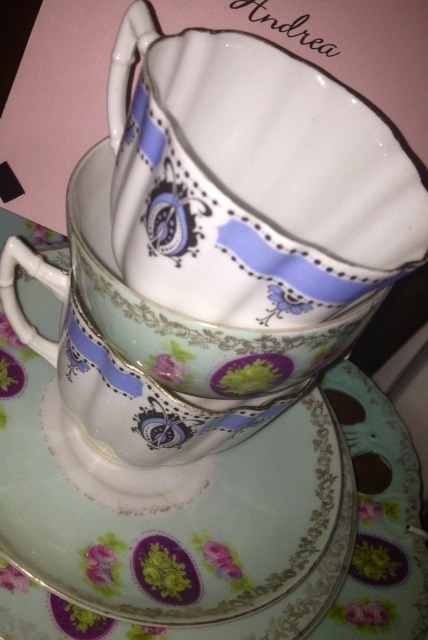 I hunted thru my linen cupboard and…bingo… found this old pink tablecloth!! 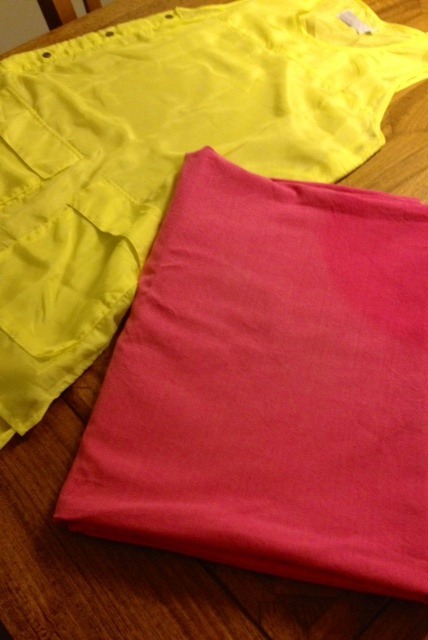 I folded it in half, then lay the yellow tunic on top as a guide to cut out a slip. I left the edges raw, so they’ll fray and sewed up the shoulders and sides. Problem solved in a jiffy and slip is ready to wear. It was a smorgasbord of fashion at brekky, so I thought you would like to see what the girls wore….there’s something for everyone below- guaranteed! Love the tan, buckle upon buckle wedges! 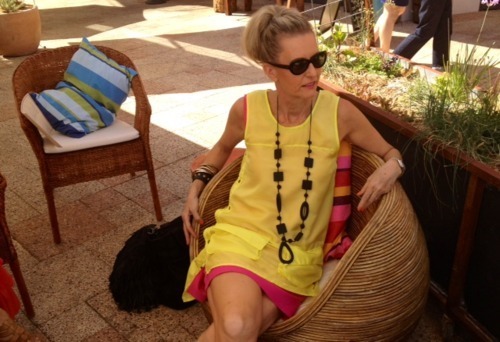 Karen breezed in, in her cool, floaty, pastel print, silk kaftan. Hey Senorita!! Nic wore a delectable, tangerine ‘Wish’ maxi skirt, available instore at Myer. She pulled it up, wore it as a dress and beaded it up. Tone on tone! Cream hooped beads on cream Nicola Finetti, silk cami, attract the eye and add luxe. Noels also wore DKNY tan skinnies ( all from Myer) and Joy pearl bracelets. I snapped PC just near her car. 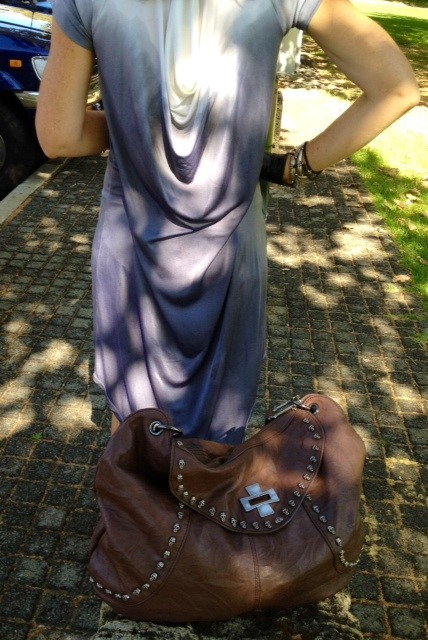 Love the dip-dyed, drapey back, ‘Butcher and Crow’ T-shirt dress. Thomas Wilde skull-stud bag. Look carefully to see her leather driving glove! Spoilt rotten!!! 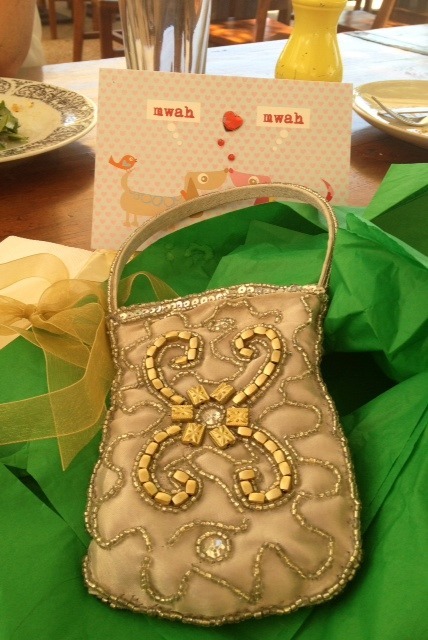 The girlies gave me this hand beaded phone pouch. It has to be the cutest around.